Advisers need to give their clients information about commissions or other advice incentives that have the potential to influence the service they receive, the Commerce Minister says. His cabinet paper making recommendations for the new disclosure regulations under FSLAB has been made public. It includes requirements that advisers disclose the licence they operate under, the conduct and client care duties they are subject to, the types of advice they can provide, any fees or costs associated with the advice, recent enforcement action against the adviser, and the complaints handling process. They would also have to disclose the commission and incentives they received and conflicts of interest that they might be subject to. 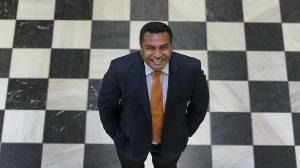 Disclosure would be made on an ongoing basis rather than in one single instance, which Commence Minister Kris Faafoi said could be overwhelming for clients. The Government announced in January that it was cracking down on incentives in insurance that drove poor customer outcomes, including high upfront commissions. “Beyond that direct regulation, I believe it is still important that consumers get information about the commissions or other incentives that have the potential to influence the advice as it will help consumers decide whether to seek or follow advice from a particular person. “I propose that anyone who gives regulated financial advice to retail clients disclose the incentives they may receive as a result of their relationship with the consumer. This disclosure will be limited to commissions and incentives that a client might perceive as having potential to materially influence the financial advice they receive. This will ensure that the information disclosed to consumers is not overly complex." He said this would help to address some of the issues raised by the regulators in relation to the financial advice sector. Advisers would also have to disclose any other relevant conflicts of interest, such as interest, relationships and associations that a client might perceive to have the potential to influence the advice they received. If the bill is passed this month, the regulations would take effect in May next year.